Haida Gwaii is weird. That’s a massive generalization and far too vague to mean anything, admittedly, but I haven’t been able to find another way to articulate my thoughts about the place yet. 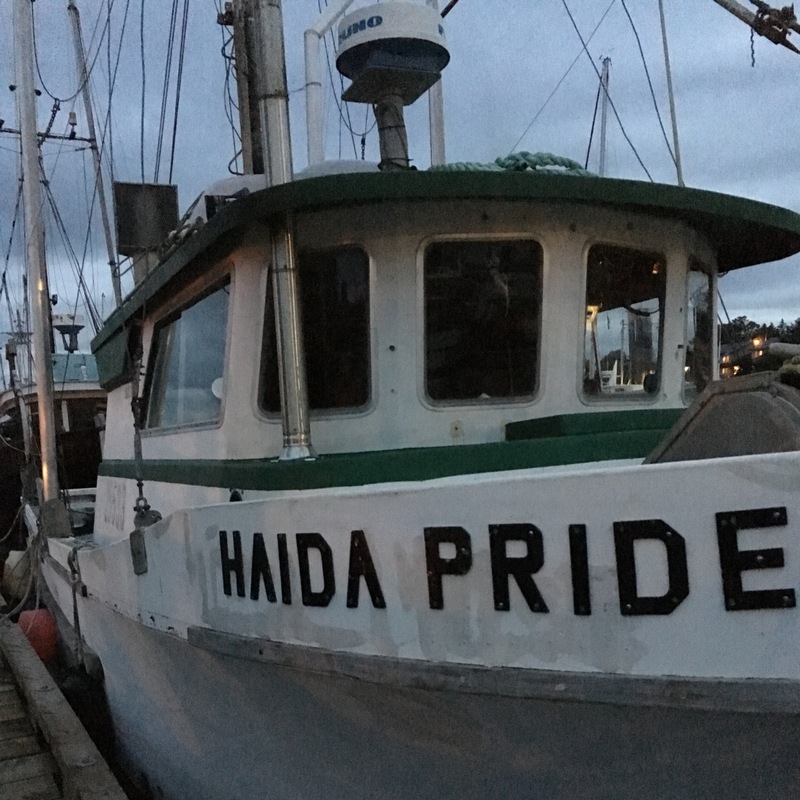 So, this post will be the first in a short series about the food culture I discovered on my recent trip to Haida Gwaii: hopefully by the end of it I’ll have found a better way to respond to people when they ask me how it was. We arrived in Masset on a small Pacific Coastal airplane; it took just over a couple hours to get there from Vancouver. Masset is the largest town in Haida Gwaii that checks in with a population of about 900. 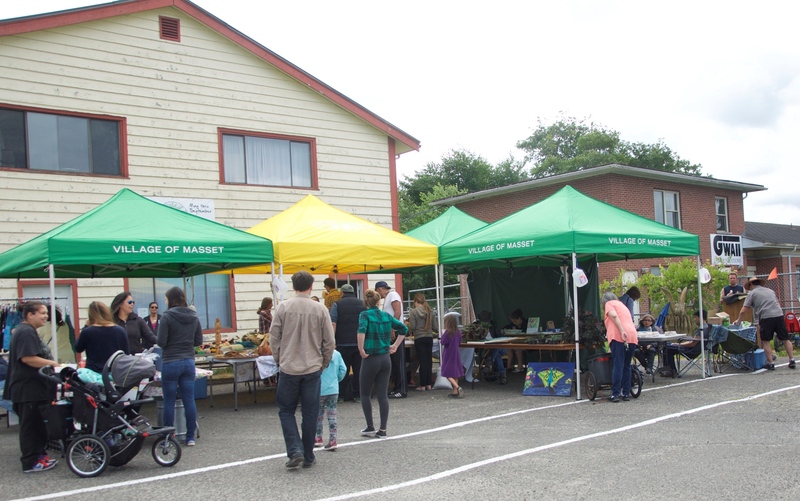 (There are about 2300 people in the area if you include the village of Old Masset and those living in the surrounding rural community.) Haida Gwaii is an island archipelago off the coast of northern BC, almost straight west from Prince Rupert. Older folks will know the area as the former Queen Charlotte Islands; they were rightfully renamed to Haida Gwaii, “Islands of the People”, in 2009 as part of a reconciliation agreement with the Haida Nation. Masset is located on the northern part of Graham Island – the largest island in Haida Gwaii – just inland from the ocean along the Masset Inlet. Old Masset Indian Reservation lies just north of Masset on a peninsula that juts into the Dixon Entrance. The population of the area is, accordingly, largely comprised of Haida people as well as various others who have ended up there. The area also gets a decent number of tourists in the summer months, especially old white guys on fishing charters. We wandered into town. The sky was low and uniform grey overhead, a backdrop that would remain constant throughout the rest of our week on the island, save the very last day when a northwesterly wind blew all the clouds away and revealed a stunning blue sky and sunlight that seemed far too bright. The air was humid and the temperature hovered around the 19 degree mark. (Masset’s record high on July 20, the day we arrived, was a whopping 24.4°C in 1911. The ocean regulates the temperature there. A lot.) Lush coastal vegetation grows rampant around the buildings and yards that have been carved out of the landscape. 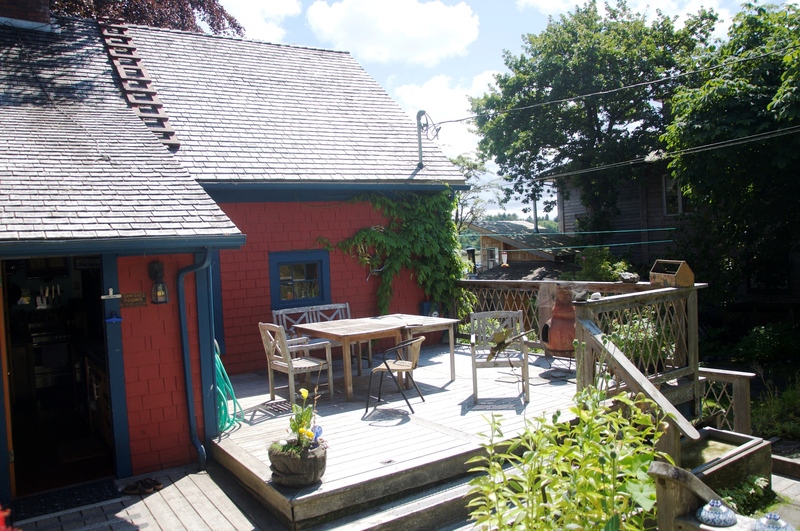 Many of the homes along Masset’s harbour are beautiful old houses like Copper Beech (which dates back to 1914). Farther in town, and throughout Old Masset, many of the homes are cookie-cutter military houses dating back to the mid-60s. The military first arrived in Masset during World War II, to spy on the Japanese and Russians – that’s my own purely speculative guess, but it seems likely enough. From 1965 to 1995, the base housed 280 soldiers. It’s located just east of Masset in a compound surrounded by a towering circle of radio towers – quite striking and strange-looking when you come across it. According to Wikipedia, the base’s equipment is now operated remotely “to gather signals intelligence for the Canadian Forces Intelligence Branch and the Communications Security Establishment.” (So they’re still spying on those Russians.) We did see a single soldier in uniform when we passed by one day. He was tending the flowerbed around the sign at the base’s entrance. The military’s presence permanently altered the island culture – including, especially, its food culture. Pre-packaged meals shipped in from elsewhere replaced the original wild and locally grown foods that had previously sustained the residents for millennia. Of course, that was just one recent example of the massive, ongoing disruption and upheaval caused by the arrival of Europeans in the area. I obviously still had my big city blinders on, expecting a smaller-scale version of what I had left in Edmonton, where our million residents are spoiled for choice of luscious produce at a number of farmers’ markets in town (especially at this time of year). I had also been reading Susan’s book, and had assumed – very naively – that the rich food culture she describes would be freely available to anyone who happened to pop by for a visit. In hindsight, this was eminently foolish. Taste of Haida Gwaii is a DIY cookbook: it describes Susan’s foraging and wildcrafting activities, things she’s been doing and skills she’s been building for the past few decades that she’s lived in Haida Gwaii. While there are certainly many other people doing very similar things all the time, the goods they make are just for their own individual use. Unless you took the time to grow, harvest and/or preserve the wild foods on the island, you’re stuck eating food that came from either the Co-Op or one of the smaller family owned grocers in town. They stock the same food that you can find anywhere else in Canada, shipped in from somewhere else. Similarly, the few restaurants in town are required by law to only use food that has passed through the proper inspection channels (of course). With very few exceptions, this means food that all comes from off-island. That’s why, when we sat down to dinner at Charters Restaurant on our first night in Masset, we found a menu that would be perfectly at home in Alberta: chicken, beef, pork and bison abounded. There were only a couple of seafood options, and yet we were sitting only a stone’s throw away from the harbour. 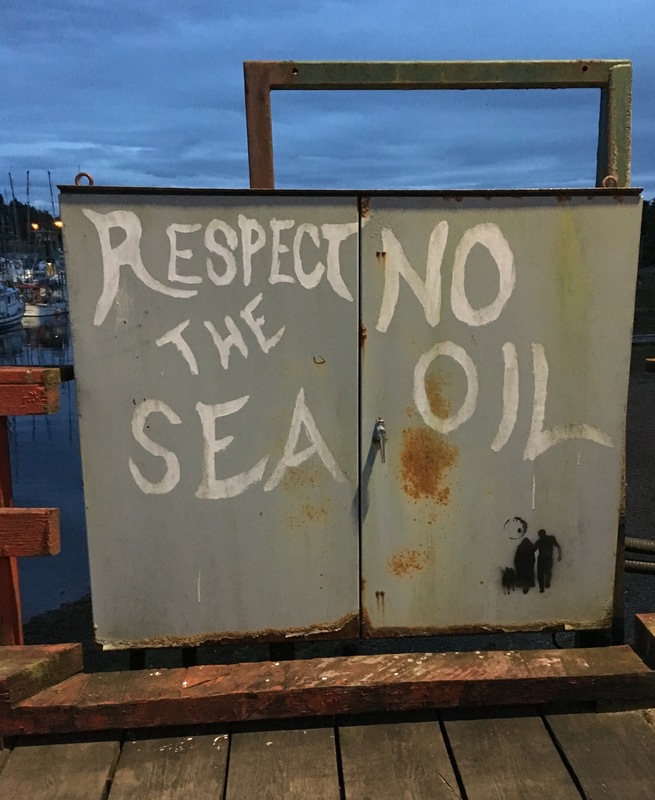 Read on to find out why Charters doesn’t have much seafood on their menu – and why they should be at the top of your list of dining options if you ever happen to be in Masset.